​In 2016, with funding from Yarra Ranges Council, Hart managed the conversion of a semi-disused warehouse into a functioning theatre space in the outer eastern Suburbs of Melbourne. The pop-up theatre ran a full five week program, and 5 local artists were commissioned to create new work for the space. Artist subsequently received production support, all venue management, ticketing and marketing. Hart produced writer/director Neil Triffett's TROLLS, an innovative piece of verbatim theatre, which explored the online phenomenon of trolling. A major piece of new writing for Triffett, two years in the making, the work premiered to a sold out season at La Mama Theatre, Melbourne. 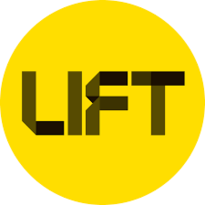 In 2013, Hart was fortunate enough to secure professional development funding to second at LIFT in London. Hart spent three months on immersion in Europe, supporting the producer team to design and deliver the major 2014 international festival. This included support, marketing, and producing for an array of significant international artists including the Dimytry Krymov Company, Lola Arias, Belarus Free Theatre and more. Between 2012 and 2013 Hart produced Skye Gellmann's Blindscape, which premiered at the 2012 Next Wave Festival. Blindscape used innovate iPhone technology to explore a work of performance art, theatre and circus, that was devoid of light. Within the construct of a smartphone app game, audiences members discovered gifts of light in a digital world, which allowed visibility and access to a physical one. Hart subsequently produced a national tour of this work, throughout three venues and states along the East Coast of Australia, picking up a nomination for a 2012 Green Room Award for 'Innovation and Excellence in Circus". Between 2009 and 2012 Hart was the Co-Artistic Director of CRACK Theatre Festival, part of This Is Not Art in Newcastle, NSW. Under the co-directorship, Hart led CRACK Theatre Festival into the next strategic stage of it's development, including a number of key initiatives and pilots. These included the establishment of an accessible arts stream, producing a major Cultural Development project with local youth, securing increased funding and partnerships with wider industry and peak bodies. ​An independent producing project from 2011, which saw 20 local resident explore their connections with physical environments, through photography and recorded histories. Resulting in a major community exhibition, Self explored the psychological and emotional connections with land. In 2006, Hart's love of festival management was born, through a secondment with AusDance Victoria, on the 2006 Australian YOuth Dance Festival. Here, hart supported the festival team to administer, program, coordinate and evaluate a major regional arts festival.